Click here to view the non-credit course offerings for Spring 2019. Exit at Main St./Rte. 6. Turn right at 2nd light onto Nelson Avenue. Go one block; turn left onto Central Avenue. Peekskill Center is 1/2 block on right. To park, enter garage at Nelson and Central Avenue or, to reach S. James St. Garage, continue on Central Avenue (becomes Park St.) 1-1/2 blocks beyond Division Street and turn left onto ramp. Click for Personalized Directions to this location. To learn more about Peekskill using the Google Street View App, check out views of Peekskill – where you can study! Each semester a new lab schedule is available. Please stop by the Tech Office after the semester begins for the final schedule. 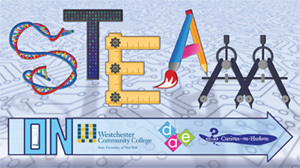 is permitted for currently enrolled Westchester Community College Students, Faculty, and Staff. College policies and Lab rules are enforced at all times. No children are allowed in labs except during precollege programs. is available for Digital Art Students in any of 5 Digital Art Labs. All Students may work in B Lab. Microsoft Word, Excel, and PowerPoint are available in B Lab. Computer Information Systems Students may request access to the PC Lab in room 203. Lab Assistants offer technical and a/v support for students and faculty in the labs and smart classrooms. 11 classrooms have projectors for Faculty demonstration purposes and have been upgraded to Smart Podium/Smart Board technology. Including 2 Multimedia Lecture Halls, and 1 PC Lab for Information Technology. Our 5 Mac Digital Arts Labs are available with software for 3D Animation, Graphics, Game Design and Digital Video. There are large format flatbed, slide, and transparency scanners, large format color inkjet printers, black and white laser printers. Introducing our upgraded D-Lab which is home to a Makerspace which has 7 Makerbot 3D printers and 2 3D scanners. Ethernet and Wi-Fi service throughout the building. Server space is available for Digital Art Students on request. Digital Art Faculty have server space for their classes. Books on Digital Arts, software, and Design are available for Students and Faculty to consult while working in the building. Video and audio equipment is available for 48-hour loan to Students currently enrolled in Digital Video classes only. See the Tech Office for details, special requests, and equipment checkouts. Apple Mac OS with bundled apps; Adobe After Effects; Adobe Creative Cloud Suite, including: Bridge, Dreamweaver, Fireworks, Flash, Illustrator, InDesign, Photoshop; Photoshop Elements; Apple Final Cut Pro; Autodesk Entertainment Creation Suite Ultimate 2014, including: Maya, Sketchbook Designer, Composite, Toon Boom Studio Pro, Matchmover, Mudbox; Corel Painter; GarageBand; iStopMotion; Keynote; Numbers; Pages; Microsoft Excel, PowerPoint, and Word; OmniGraffle; Toast Titanium; Torque2D; Pro and other specialized software. How did you hear about Peekskill Extension Center?